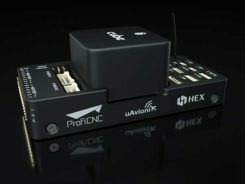 The U.S. National Oceanic and Atmospheric Administration (NOAA) has selected a small unmanned aircraft system (sUAS) for wildfire measurements and observations in support of its FIREX field mission and the fire weather forecasting initiative. Black Swift Technologies will deliver to NOAA a tightly integrated system consisting of an airframe, avionics and multiple sensors capable of research-quality measurements of CO2, CO, aerosol, RH, p and T in wildfire plumes, as well as multispectral high-resolution maps of wildfires. The SuperSwift sUAS will be operated by the University of Colorado’s Integrated Remote & In Situ Sensing Program (IRISS) in close collaboration with NOAA. The FireFOX sUAS is based on Black Swift’s commercially available SuperSwift airframe and SwiftCore Flight Management System — designed to be cost-effective, powerful and easy to operate in the field. The SuperSwift is specifically engineered to meet the demands of high-altitude flights through strong winds and damaging airborne particulates typical of nomadic scientific field campaigns in harsh environments. 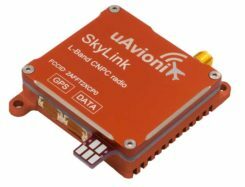 “While there are many sUAS manufacturers for agencies like NOAA to consider, most are simply not suitable for scientific atmospheric measurements,” said Jack Elston, CEO of Black Swift Technologies. The SuperSwift addresses NOAA’s requirements for endurance and operational radius (> 2 hours and between 30 to 60 km) sufficient for fire observations, its payload capability (up to 5 pounds), and its unique forward-facing payload bay, “ideal for atmospheric sampling and for easy instrument package swapping,” Elston said. The ultimate goal of NightFOX is to perform nighttime in situ measurements of wildfire plumes and remote measurements of wildfire properties, with the measurement data used to improve fire weather forecasting. Because of safety concerns and dangers associated with nighttime operations, manned aircraft flights are limited to daytime operations. Ground observations using a mobile laboratory provide detailed chemical information on fire plumes, but lack information on plume spatial distribution to put the point measurements in context. 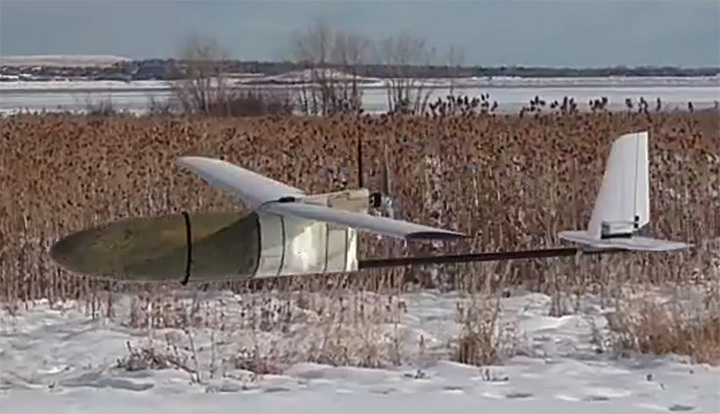 UAS observations are the only technology capable of this task. sUAS observations can provide useful information for firefighting efforts by accurately detecting fire perimeter and identifying fire hotspots, but have not attempted to make measurements relevant to studying fire emissions or incorporate observations into fire forecast models. “Our proposed work, if successful, will significantly advance the integration of UAS-based observations of wildfires into fire-weather modeling and forecasting,” said Ru-Shan Gao, principal investigator, Chemical Sciences Division, Earth Systems Research Laboratory, NOAA. The collected data will also provide otherwise missing data for studying the impact of North American wildfires on the atmosphere and human health. It will ultimately support better land-management decisions and practices, contributing to NOAA’s core mission to advance understanding and prediction of the Earth system to enhance society’s ability to make effective decisions. With its partners, IRISS explores commercial opportunities and fosters discussions on the ethical, legal, and social policy implications of new technologies and big-data collection. The existence of a sUAS capable of carrying the necessary instruments routinely through harsh environments adds an invaluable contribution to the calibration and validation of data collected from ground- and satellite-based methods. The innovations of the SuperSwift, including the total sensor suite, can be used for scientific research by federal and state public agencies and other state-funded laboratories to collect data on coherent atmospheric structures such as smog, volcano plumes, wildfire smoke, chemical fires, forest humidity, and studying oil and gas field flares for calibration/validation of satellite measurements.